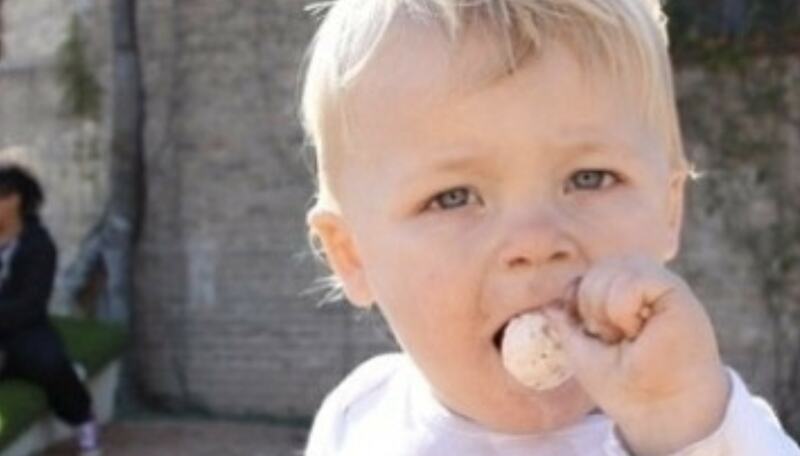 Are Breast Milk Lollypops Going To Be The Newest Sweet Trend? As more and more people turn their backs on cow's milk - is human breast milk the obvious alternative? One confectionary company certainly thinks so, describing the flavor as 'inherently satisfying'. Lollyphile, which is famous for creating outlandish lolly flavors like wasabi and absinthe, has now launched a breast milk flavor lollipop. But it doesn't contain actual milk - the brand's taste specialists apparently consumed so much human breast milk, they were able to replicate it. But why, you might ask? The brand says: "So what's happening is that suddenly it seems as though a lot of our friends are having babies. "And since some of us are confectioners, we felt it was our responsibility to find out just what this flavor was that could turn a screaming, furious infant into a placid, contented one. "Surely the flavor must be heavenly, yes?" These taste tasters who perfected the treat, which is suitable for vegans, offered their thanks to the women who shared their milk. According to Lollyphile: "We are endlessly grateful to all the mothers who kept sharing their breast milk with our flavor specialists until we were able to candify it. "These lollipops won't bring back childhood memory; they'll bring up animal instinct. "Quite possibly the most inherently satisfying flavor of all time." Have You Tried Quorn's New Vegan Five Grain Fillet?